Welcome to the beautiful BEST WESTERN Danby Lodge Hotel. Built in the 1730's and situated in the sunny Southeast of Ireland. As our guest you will enjoy total care, courtesy and service from our committed team at the Danby Lodge Hotel. Just a 10 min drive from Rosslare town. 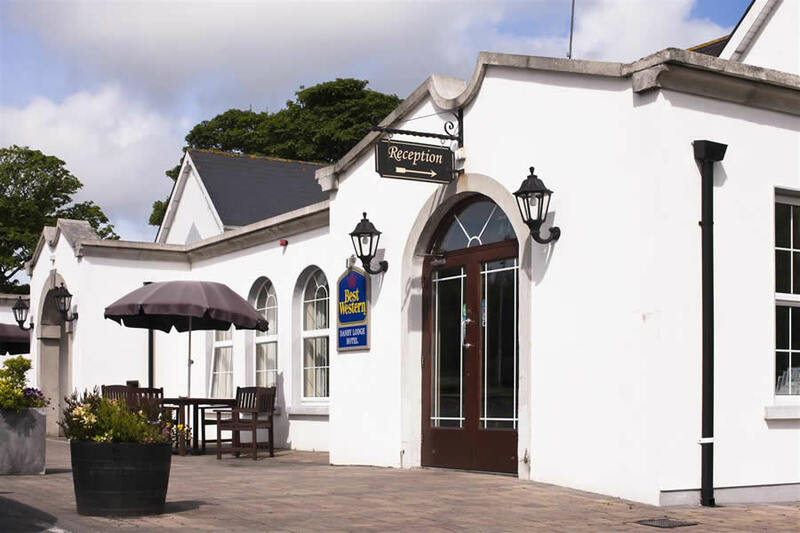 The BEST WESTERN Danby Lodge is just five minutes from Rosslare Euro Port and minutes from some of Wexford's most beautiful beaches. I had such a lovely time here. Everyone was friendly and very welcoming, the food was amazing, the room was clean and the atmosphere was calm and relaxed. The area is really quiet which was exactly what I wanted. I'll definitely be back! Interior a little outdated but clean. Staff extremely friendly and helpful. Bedrooms clean, comfortable and spacious. Lovely food. Hotel ideally situated for tourists. Would stay there again. The Danby Lodge is a lovely, clean place to stay. The staff are very helpful. Breakfast was delicious. 5 stars is my rating. The only complaint I have doesn't really involve the hotel. The taxi which was ordered for us to take us to Whitford House cost €19.00 with Maria. This was indeed an overcharge because we travelled back out to The Danby Lodge at 1am from the centre of Wexford town (which is 4km farther away) for €15.00. So possibly the people at The Danby Lodge Hotel should be aware of this. Enjoyed our weekend here. The staff were very friendly and helpful. Breakfast and dinner was excellent. Definitely worth staying. We were a group of 7 (adults and children and the family pet), the rooms were very clean, warm and comfortable. We had dinner in the bar and it was delicious. The staff were very friendly and helpful esp. when recommending attractions for the family to visit. Would recommend the Danby Lodge without hesitation. Found the hotel in a good location. easy access to Rosslare beach 2 km approx in car. Friendly staff. Very nice choice of Breakfast Friendly helpful staff. Room cosy and spacious for family room. Small park ideal for kids under 6 years. Would recommend Hotel. It is a reasonably good place to stay given the cost. There are few things that could be improved- bath room shower and toilet flush. The Staff are probably the nicest and most helpful I have met in any hotel ,it was like being looked after by a team of Mammy's. Food was really tasty and well presented and breakfast was plentiful and tasty too. The only downside was the outdated rooms and beds which could do with a makeover but aside from that I would return to the Danby lodge. Very good hotel, we had a very good experience in the hotel as the rooms were beautiful and suitable for a family. The staff was very friendly. Having a playground next to hote;l was just brilliant, more hotels should do that. They were showing the the world cup matches in the bar which was handy. Dinner was nice. Room clean and we had an accessible room which was close to the parking space which made it handy for us. We had a lovely one night stay at the Denby Hotel. Staff were very friendly. The accomadation was very nice and clean. The only thing I would fault was the dining area it needs to be revamp as it was very cold and uninviting. We had dinner there and although the food was ok a little more effort could be made with presentation for example table cloths and candles would be nice as I was celebrating my birthday I was a little over dressed for the plain dining area. Over all it was nice. We recently spent the May Bank Holiday at this hotel, 3 days and 2 nights. We were given a garden room, although a little away from the main hotel, we were pleased, not only with a spacious area but nice a quiet. The only let down in the room was the TV 12" Portable hung high on the wall, if they cant be updated, take them down. The bar area requires updating and would have benefited from some entertainment on Saturday night as there was a good crowd with nothing really to do except watch the telly, should have been switched off. The staff were really friendly, helpful and efficient and did everything to make our stay pleasant. The food was excellent good quality, fresh and good portions. 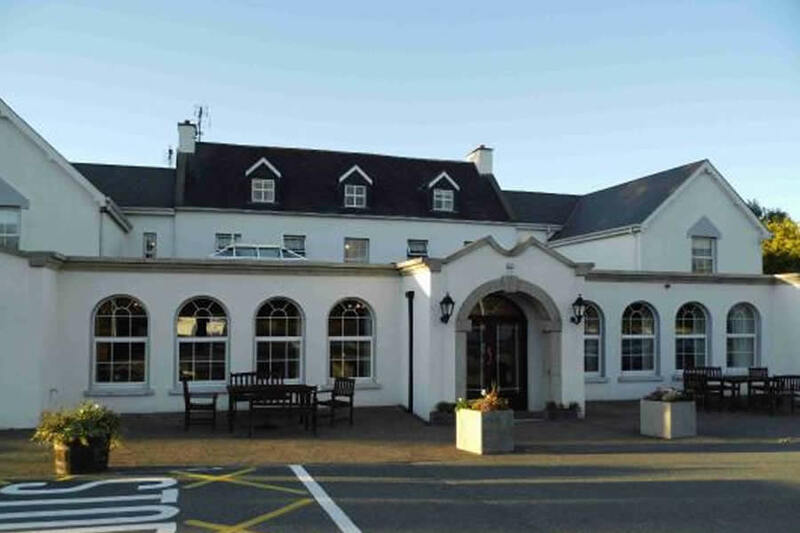 Overall, we had a good stay despite the weather, and would return to this hotel if we were in Wexford again. Lovely place and very helpful and friendly staff.Would stay again. very nice hotel. friendly staff and good food and comfortable rooms. our second time to stay here. we will be back again. would recommend this hotel. We had a very enjoyable stay at the Danby Lodge, the room was large, very clean and well presented. The staff were very friendly and helpful, dinner was tasty and very large portions. We would stay at the Danby Lodge again. It was a pleasure to stay in your hotel. We thoroughly enjoyed our time there. The staff were extremely friendly and very helpful, they had a good knowledge of what to do and where to go locally.Our room was nicely furnished and very clean. Breakfast was delicious and plentiful. We would highly recommend this hotel. This was a pleasant stay, stopped off with my family as I was attending an event nearby. Staff were friendly, food was nice, although there could've been a better selection, restaurant and bar were quite, so I'm sure there's a balance to be found there. Room was clean, but a little dated, the family room was a good size with 2 full size single beds to accompany the double bed. Recommend for a short stay. Hotel staff friendly, rooms spotless. Evening meal was a little dissappointing. We were seated in breakfast dining room away from bar and atmosphere and felt a little excluded. Hotel lacking a comfortable lobby where people can sit and relax apart from the bar. We stayed for one night in Danby Lodge. It was not as I expected, the property was very nice, our room was very large and stylish, the staff were very warm and welcoming, and the food .....well, I felt they were serving me my last meal ever! Massive feed. Great location too, so close to carne beach one side and Wexford town on 5-10 minutes. Highly recommend for the value. Very disappointed with the hotel. The pictures for the website are all taken from an angle that don't show the busy road in front. The lady at reception was not overly friendly but that was maybe due to being busy. We got room no 10 with a tiny window. When we went to open it, we discovered why it was so tiny - the kitchen extractor fan is right next to it and was unbelievably noisy. Even with closed window it felt like being on a transatlantic flight. We gave up after a few minutes and went down to reception to ask for a different room. First we were told that there is none available but after we insisted we got a room in the old garden extension part with a "lovely" view to an old oil tank and some rubble. At least it was quiet but the room was very outdated. All in all a rather disappointing hotel. hi there, we have just returned after a weekend in the danby lodge hotel. i have never met such helpful pleasant staff in any hotel. just exceptional. the accomodation was spotlessly clean and was so near the beautiful beaches nearby. i hope the staff are shown these complimentary comments as they deserve. the praise. we will definitely be back :-) thank you. martina. Staff were very accommodating and helpful. Food was very nice, I don't usually eat Salmon but enjoyed it immensely here. The hotel is kept well with the rooms bright and clean. The plumbing is an issue as we had problems with our shower, but this was rectified in a highly professional manner. Overall, a very nice hotel and highly enjoyable. Very friendly staff. Good food and a nice bar. Have nothing to complain about, especially for the price that we paid. A very pleasant Hotel. Lovely staff very friendly. Rooms were clean and well maintained .I would recommend it and will be going back soon. Hi all, Really, really enjoyed my overnight stay in the Danby Lodge in beautiful Rosslare. I really prefer old buildings like this with a history. I even had a peek at Francis Danby's paintings on my return, they are fascinating. The food was very, very good, the staff courteous, polite, but not in an interfering way & the peace & quite was wonderful. Value for money was excellent, got a great brekkie & the offer of complimentery toileteries or whatever you might have forgotten was certainly a bonus. I loved it & beautiful Rosslare & only wished that I could have spent a week there but definitely as Arnie would say ''I'll be back'. had a fanstastic weekend away here, the ideal location for a quiet weekend away. food was lovely, service excellent, rooms spotless - but the best thing was the staff - friendly and helpful and smiles all around - we will be back! really enjoyed our stay in the Danby Lodge Hotel. The two course dinner was absoutely gorgous great valu for money. We only stayed one night and loved it! Lovely grounds a little playground for the kids and the food was delicious - we'll definitly be back!